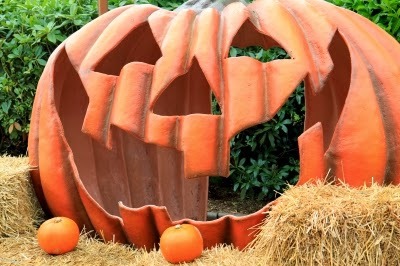 Travel-Tot: Haunted Halloween Fun: Zoos! All across the country, families are gearing up for Halloween and one of the most family-friendly, and increasingly popular ways to celebrate all October has to offer, can be found at your local zoo! Many zoos have a month-long program or other special seasonal event that combines Halloween's spooky flavor with the natural joy of a day (or night!) at the zoo. You may want to do a little research first and the AZA website is a great place to start! From here you can locate any accredited zoo or aquarium in your area, along with contact information and direct links to their websites, which will contain calendars and event notifications for their unique October celebrations. Generally speaking, checking out the events and programs at your local zoo ahead of time can be helpful in determining whether the venue's offerings are appropriate for your child's age and emotional maturity; while some facilities offer a cute Boo-at-the-Zoo sort of theme that works for young children, some host more frightening displays or events designed for older kids. Some even split the events so that daytime is more family friendly, while evening is a bit edgier! Whatever the age of your little ghouls or goblins, your local zoo has spooky family fun in store! So get on out there and scare up some smiles!